Love how you were inspired. Gorgeous inking of the wreath. I love watching your Insta videos and if only it were that quick in real life!!! Love your CAS style and this one is fabulous too. Great card Ardyth! Thanks for sharing. Gorgeous wreath, love all your inking and masking you did! 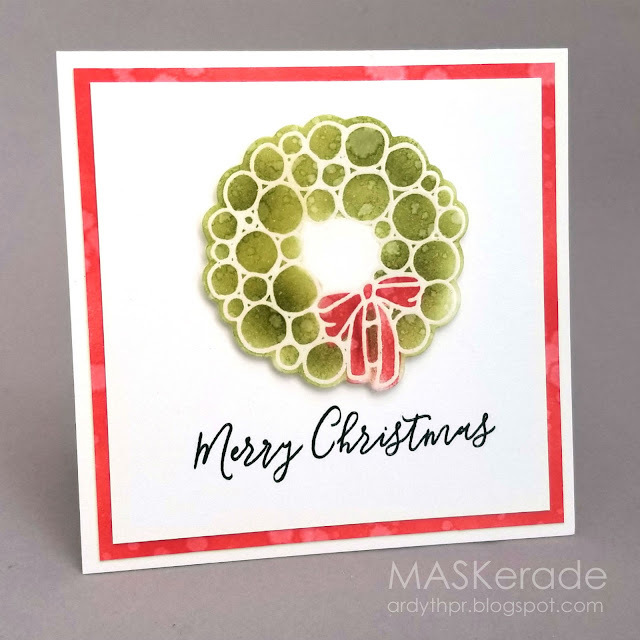 Love your wreath card Ardyth, and thanks so much for the quick lesson - that's an excellent idea for masking out the two colours. Such a beautiful take on Tracey's card! Love your wreath and details, Ardyth!